Mirvac has sold-out its Mossvale on Manly masterplanned community in East Brisbane, with the final home sale now settled. Close to 500 homes have been developed at Mossvale on Manly since its launch to the market in 2003 and the sell-out comes on the back of almost $24 million in sales in 2013. Located in Wakerley, three kilometres from Moreton Bay and 14 kilometres from the Brisbane central business district, Mossvale on Manly spans approximately 64 hectares and features more than 10 hectares of green open space, including a unique 4.3 hectare waterway corridor. 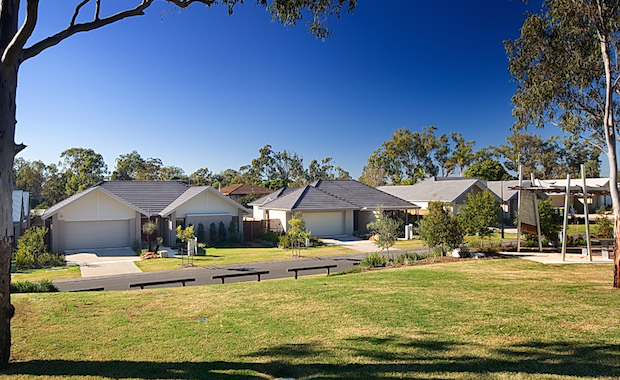 Mirvac Queensland masterplanned communities development director Russell Berlee said sales over the past 12 months had been strong, with demand outpacing supply. "As the community neared the finish line, we only had a limited number of properties left to sell with the majority of the homes released in the past year selling prior to construction being completed,"There was sustained interest right up to the very last sale and, in many cases, we had a number of purchasers wanting the same property, with a wait list in case the sale fell through" he said. Mr Berlee said Mossvale on Manly had drawn a wide demographic of buyers, predominately young families, downsizers and professional executives. "In recent years, families living in surrounding suburbs like Carindale, Manly West and Wynnum, who are upgrading to a second or third home, have dominated sales," he said. "The strong demand has been driven by the fact purchasers recognised the chance to purchase a brand new Mirvac home in Mossvale on Manly was quickly diminishing. "Mossvale on Manly has been recognised with numerous awards and commendations over the past decade from the Australian Institute of Architects, Housing Industry Association and Queensland Landscape Construction Excellence Awards for both the design of the community and individual homes.